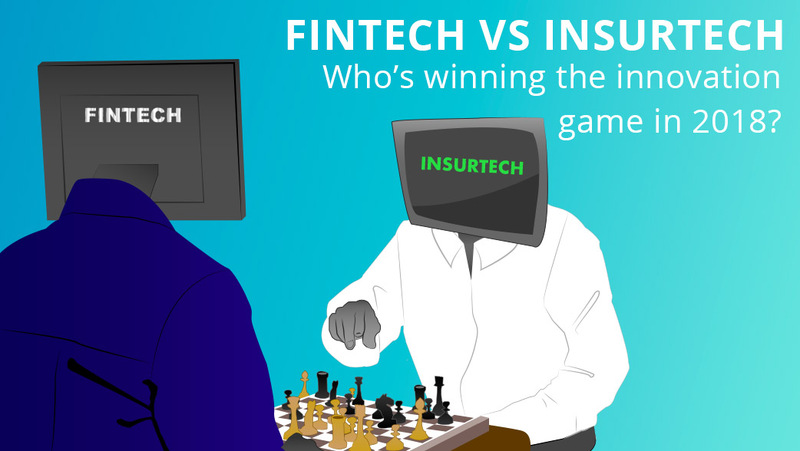 FinTech vs InsurTech: Who's winning the innovation game? Managing your finances and buying insurance used to be dull as dishwater. There were only a handful of brands to choose from, they’d all been around forever, and you were hard-pressed to work out the difference between them all. Most of us stuck it out with the same old banks and insurers, too disillusioned to bother doing anything else. But now, that’s all changed, as a host of innovative start-up brands have hit the market, using new technologies to shake up old, tired industries. Catchily named fintech and insurtech, these sectors are attracting record investment, bringing a constant stream of new products to the market and giving consumers loads of new options to choose from. But who is winning the race when it comes to innovation? The financial services industry has been blown wide open by new technologies, which have made it easier for new companies to set up and offer something different to traditional providers. Banks no longer need a physical presence on the high street, just a website or mobile app is enough. Plus, emerging technologies such as AI, machine learning and data analytics are facilitating loads of ways for fintechs to make our lives easier. These providers have focused on solving some of the most frustrating consumer issues, making it easier and more convenient to access financial services and manage your money, while delivering better service, user experience and value. No area of financial services has been left untouched, from banking to savings, pensions, payments, money transfers and foreign exchange. And in January this year, fintech received a further boost with the introduction of the Second Payment Services Directive (PSD2) forcing all banks to share account and payment details with third parties, where authorised by the customer. This has cleared the way for a whole swathe of new services to help you to use, organise and manage your cash. So what developments have we seen in 2018 so far? Some of the original fintech trailblazers are now pretty established, so have been looking for ways to take their offerings to the next level. For example, international payment service, Transferwise, became the first fintech to be granted access to the Bank of England’s interbank payment system in April this year. That means it can now process payments without going through a commercial bank, speeding up its money transfers and cutting costs. App-based challenger bank, Monzo, has also announced a couple of big innovations this year, including plans to introduce an account for the ‘unbanked’, such as refugees and homeless people. That was followed by plans to integrate with If This Then That (IFTTT), letting users connect the app to hundreds of other services such as Alexa and Twitter. Yes, you will soon be able to automatically tweet about whatever you’ve just bought! There are plenty of new fintech brands to look out for too, particularly following PSD2. One payment service we like is Klarna, which gives you the option of paying for your shopping between 14 and 30 days later than the purchase date, or spread the payment over a number of months with no interest. There are also a variety of apps that help you streamline your accounts, making it easier to track your spending and build up your savings. Money Dashboard lets you see all your current accounts, savings and credit cards in their award-winning app, while Chip uses artificial intelligence to calculate how much you can afford to save on a monthly basis. Bud, previous winners of 'Innovation of the Year' at the British Bank Awards, are working with brands such as HSBC to help them take advantage of the open banking platform and offer their customers the option to aggregate accounts from multiple providers in-app. Robo-advice is making headway too, with challenger bank, Tandem, recently announcing a partnership with Personetics, which uses ‘cognitive banking’ powered by AI and predictive analytics, to help customers make better financial decisions, whilst Moneyfarm, a digital wealth manager, automates part of the investment process and claims it can match you to an investor profile in five minutes, enabling them to offer customers low-cost and flexible financial advice. Insurtech might not be as established as fintech, but it has definitely been stealing some of the limelight over the last couple of years with global investment up 36% in 2017. Insurance innovation was long overdue, with customers suffering for many years with old-fashioned technology, outdated products, plus disappointing user-experience and service. New providers have focused on alleviating these pain points, making buying and claiming on insurance faster, easier and better value, with cover tailored around the needs of individuals. One big trend amongst insurtechs is to focus on particular customer segments that are underserved by traditional insurers. For example, Zego offers pay-as-you-go car and scooter insurance for gig economy delivery drivers, and Dinghy offers the same flexibility to freelancers. Cuvva is another example where flexibility is key, with car insurance that you can turn on and off as you need, whilst By Miles is designed for those that don’t drive much - you just pay for the miles you drive each month. Other new brands, such as Brolly and Sherpa, have gone purely mobile to offer customers unparalleled ease and convenience, letting you buy and manage your policies from a handy app. Both use AI and machine learning to give personalised insurance advice and match you up with the best products. Brolly launched its motor and gadget policies in April this year, while Sherpa is due to launch its life cover for self-employed professionals this summer. Some providers are also incorporating Internet of Things (IoT) technology into their cover. Take Neos for example, which offers home insurance combined with security cameras, motion and leak sensors that actively protect your home when you’re not around. So if anything does happen, you and the Neos team will always be alerted, meaning you can take action before it’s too late. The insurance claims process is another area where innovation is hotting up. One impressive startup in this space is Rightindem, which gives customers more control over their claims. The app allows you to use your smartphone to take and submit photos and videos as part of a claim, allowing them to be settled more quickly, while reducing costs for providers and boosting customer satisfaction. Sounds good to us! It’s a bit like choosing between your children, but fintech is perhaps just edging it on the innovation front at the moment, simply because insurtech is still a toddler in comparison. But we’re confident that as some of these trailblazing startups become more established and consumers catch on to the benefits they bring, insurtech will be giving fintech a run for its money in the not too distant future. Voting in the Insurance Choice Awards 2018 is now open... will any of these firms take home 'Best Newcomer 2018' or 'Innovation of the Year 2018'? Cast your vote and help decide.